where Wpayload is in tons. 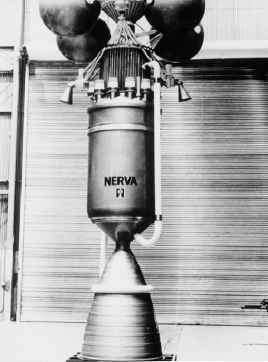 Orbital maneuvering vehicles (OMV) are powered by a mix of propulsion systems and propellants, so a parametric sizing effort established the variability of the ratio of launcher propellant to propellant payload with payload propellant bulk density and payload mass. A representative set of orbital maneuver propulsion systems is given in Table 5.4. This is only meant to span possible systems and is by no means all-inclusive or comprehensive. The density Isp (bulk specific gravity times Isp) is a measure of the relative volume taken by the propellant system. In that respect the hypergolic propellants take always less volume than a hydrogen-fueled system. The range of launcher propellant required to lift one mass unit of orbital maneuver propellant into LEO is from 47 to 9.5. Compare this to a Boeing 767-200 carrying 216 passengers over a 5,800 km distance: the fuel consumed is 2.6 mass units per one mass unit of payload. The oxidizer-to-fuel ratio for the airbreather to Mach 12 is 3.14, and the resulting fuel-to-payload ratio is 3.02. That implies that the airbreath-ing launcher is only about 16% less efficient in its propulsion system flying to Mach 12 as a Mach 0.85 transport. Concorde, flying 100 passengers at Mach 2.04 over a 6,300 km distance consumes about 8.3 mass units of fuel per unit mass unit of payload. So in fact the airbreathing launcher is more efficient than Concorde in terms of fuel use. Given the propellant required to lift the orbital maneuver propel-lant to LEO, the task remains to establish how much orbital maneuver propellant is required.